While this is interesting, my take away is the research goals in 2010 between NASA, their Jet Propulsion Laboratory & the National Oceanic and Atmospheric Administration (NOAA). 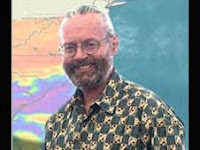 JPL scientist Bjorn Lambrigtsen goes on hurricane watch every June. He is part of a large effort to track hurricanes and understand what powers them. Lambrigtsen specializes in the field of microwave instruments, which fly aboard research planes and spacecraft, penetrating through thick clouds to see the heart of a hurricane. While scientists are adept at predicting where these powerful storms will hit land, there are crucial aspects they still need to wrench from these potentially killer storms. Here are thoughts and factoids from Lambrigtsen in the field of hurricane research. Most Atlantic hurricanes start as a collection of thunderstorms off the coast of Africa. These storm clusters move across the Atlantic, ending up in the Caribbean, Gulf of Mexico or Central America. While only one in 10 of these clusters evolve into hurricanes, scientists do not yet know what triggers this powerful transformation. Pinpointing a hurricane's origin will be a major goal of a joint field campaign in 2010 between NASA and the National Oceanic and Atmospheric Administration (NOAA). Another focus of next year's research campaign will be learning how to better predict a storm's intensity. It is difficult for emergency personnel and the public to gauge storm preparations when they don't know if the storm will be mild or one with tremendous force. NASA's uncrewed Global Hawk will be added to the 2010 research armada. This drone airplane, which can fly for 30 straight hours, will provide an unprecedented long-duration view of hurricanes in action, giving a window into what fuels storm intensity. Think about a hurricane. You imagine high, gusting winds and pounding waves. However, one of the deadliest hurricanes in recent history was one that parked itself over Central America in October 1998 and dumped torrential rain. Even with diminished winds, rain from Hurricane Mitch reached a rate of more than 4 inches per hour. This caused catastrophic floods and landslides throughout the region. Even though hurricanes can wreak havoc, they also carry out the important task of replenishing the freshwater supply along the Florida and southeastern U.S. coast and Gulf of Mexico. The freshwater deposited is good for the fish and the ecological environment. Hurricanes come in a huge a variety of sizes. Massive ones can cover the entire Gulf of Mexico (about 1,000 miles across), while others are just as deadly at only 100 miles across. This is a mystery scientists are still trying to unravel. NASA and NOAA conduct joint field campaigns to study hurricanes. The agencies use research planes to fly through and above hurricanes, and scientists collect data from NASA spacecraft that fly overhead. NOAA, along with its National Hurricane Center, is the U.S. government agency tasked with hurricane forecasting.